Businessman Kyle Graves shot himself in the ankle so emergency room doctors would feed his opioid habit. Ex-trucker Jeff McCoy threatened to blow his brains out if his mother didn't hand over his fentanyl patches. Bianca Knight resorted to street pills when her opioids ran out, envisioning her law career dreams crumble. These are three Americans who started using powerful painkillers legitimately but, like millions of others, got caught in the country's worst drug epidemic. Narcan Explained: What Is It and How Do You Use It? 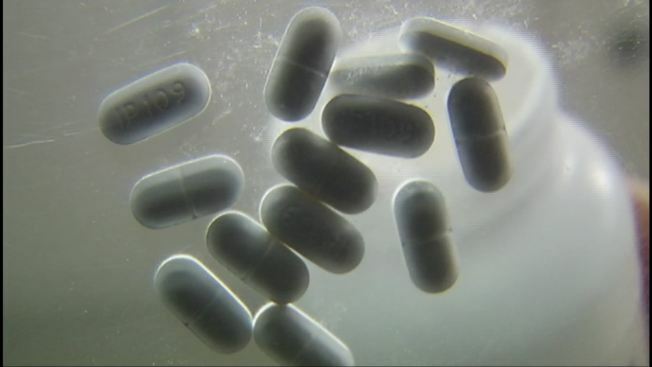 Ninety-one people in the U.S. die every day from opioid-related overdoses, but there’s a tool that can reverse the effects of an overdose that more and more law enforcement agencies and paramedics are now carrying with them as part of their standing operating protocol. It’s called Narcan, and here is what you need to know about what it is, how it works and how to use it. Now they're fighting the same recovery battle, on anti-addiction medicine similar to pills that nearly did them in. Their doctor, Dan Lonergan, a Vanderbilt University pain and addiction physician, sometimes recommends the same drugs to pain patients that brought his addiction patients to the brink. He's heard criticism about doctors "who get 'em hooked on drugs and then turn around and treat 'em for addiction." And he's seen the finger-pointing from those who think faith and willpower are the only answer. "Doctors have contributed to this problem. In the past three decades we have gotten a lot of patients on medications that can be very dangerous," he said. "The pharmaceutical industry has contributed significantly to this problem. This is a problem that we all need to own." This is a snapshot from Nashville of America's addiction crisis. More than 2 million people are hooked on opioids. Overdoses kill, on average, 120 Americans every day. Even for survivors, success can be precarious. At 53 and on disability, Kyle Graves still feels stabbing pains that a daily handful of pills used to ease. His troubles began more than a decade ago when he sought relief for excruciating arthritis. He was prescribed oxycodone, opioid pills that can help short-term pain but can become addictive when used long-term. When he lost his finance manager job, they helped with that pain, too. When his sixth child, a baby boy, died from spinal meningitis, Graves sunk deep into addiction. He'd use up a month's supply in days, followed by terrible withdrawals — vomiting, shaking uncontrollably, intense pain. After a doctor refused more refills, Graves grabbed a pistol from his nightstand, pulled the trigger, then called an ambulance. At the hospital, two shots of morphine for the ankle wound "did the trick." Graves thinks only his wife suspected the ruse; she left with the kids. "It just devastated and ruined my life," he said. Graves went to rehab, treated with hard work and prayer. It worked for a time, but after relapsing Graves sought help three years ago from Lonergan, who prescribed recovery medicine containing buprenorphine, an opioid that reduces cravings and withdrawal symptoms. He hasn't relapsed for two years, but tries not to dwell on the future. "Anything could happen," Graves said. Jeff McCoy has been a drummer, a Harley rider and long-haul trucker. These days he prefers baking cookies and doting on his wife, Joanne. Recovery from opioid painkillers prompted the turnaround. It started nearly 17 years ago, after surgery for a back injury — maybe from too much time on the road, he's not really sure, but it forced him to quit trucking. His doctor prescribed Vicodin — painkillers that contain the opioid hydrocodone. Soon he was hooked. "I just went full bore," McCoy says. "I was popping pills like crazy." When those stopped working, he was prescribed powerful fentanyl skin patches that deliver medicine gradually. McCoy found that chewing them worked faster. McCoy needed ever more to avoid withdrawals. His wife would lock the patches in a safe, but when he found the key, his mother stored them at her house nearby. "Got to the point where I got on the phone with mom, 'You better bring me that patch right now else I'm splattering my brains all over this living room.'" When his wife threatened to leave, he checked in to a detox center, in 2009, enduring two hellish weeks of withdrawal. Now he calls his wife his addiction and figures he'll be on anti-craving medicine for life. "I finally wanted to stop," McCoy said. "If I can survive with no life, come on, it's worth it, but you gotta want to." After law school graduation, Bianca Knight had a nagging question: "How do I know if I have a problem?" After injuring her back carrying law books, Knight had spent the past two years medicated, on hydrocodone pills from a different doctor. They eased the pain, but "also gave me a euphoric feeling and helped me get through my long day in law school," she said. Knight is nearly blind from a rare optic nerve condition. A state program paid for a reader to help with school work. A doctor warned vaguely about addiction risks but Knight thought she'd be immune. Soon she was taking far more than the prescribed amount. "Toward the end, I resorted to buying off the street," Knight said. That's when she sought out Lonergan. He explained that the average person doesn't think about opioid pain pills 24/7. Knight started buprenorphine treatment. Church and support group meetings also help, she says. Her baby girl, born this past summer, is extra incentive for her to stay clean. Still, Knight said, "For anyone in recovery, it is a daily struggle and I'd be a fool not to think so."